(UPDATE, December 19: Morrison’s notebook reportedly sold for the unverified amount of $200,000 on December 18, 2013). This week’s news that Jim Morrison’s “Paris” notebook will be auctioned later next month, 10 days after what would’ve been the singer and poet’s 70th birthday, hasn’t exactly set the night on fire. The headline, characterizing the discovery as his “druggy musings” makes it sound like more of the same, and yet, we’re talking about the recovery of a holy relic of rock’n’roll history here. Media and mythology strike again, though the story managed to uncover the seller of the notebook as Graham Nash. He and the Doors shared a manager who gifted Nash with the collection of notes and sketches, valued to be worth approximately $320,000. There was no mention of who shall benefit from the sale of the artifact which likely dates back to the singer’s life in the pre-Doors dawn, during his time spent at UCLA, his interests more focused on poetry and film than on songs. The inside flap of the book features a quote from a 1963 Paris Review interview with Norman Mailer (Morrison was an avowed fan) alongside an image of the artist Francis Bacon, artistic inspirers from the early ’60s. As for Morrison, deceased since 1971, the ‘60s most idolized rock star was no doubt plagued by alcoholism and drug addiction, and yet, he was able to keep his artistic life somewhat sacrosanct; it is said when he left for Paris he took only his poems, filed in old notebooks, and his canisters of film with him. The notebook, with its so-called musings are presumably continuations of his creations, a winnowing and distillation of the things he’d been jotting down in notebooks he carried with him at all times, even since before he arrived to the California coast as a student from Florida. The writings in his own hand offer more than “a window into the mind of the deep-thinking singer, known for his drug abuse, in the run up to his death.” They are a closer look at his process as an artist, a chance to examine the singer’s life through a new pair of glasses, one that isn’t too concerned with ‘60s nostalgia, preserving mystique or cashing in on it. Whatever its true origins, I would hope that the notebook will be purchased with the intent to publicly display it. It is time to retire the persistent media portrait of the artist as a semi-dimensional party dude with a quasi-mystic side. My forthcoming book, Shaman’s Blues, The Art and Influences Behind Jim Morrison and the Doors, to be published early next year, attempts to cancel some of the old notions, and replace them with the source of Jim’s ideas and what he was creating with his body of work. I went in search of the building blocks that make his songs and poems meaningful to each new generation, his messages, and even his meanderings, still relevant to listeners in the 21st Century. To better appreciate Morrison’s “druggy musings” is to understand his complete devotion to Arthur Rimbaud’s systematic derangement of the senses, the principles behind Antonin Artaud’s Theater of Cruelty, Bertolt Brecht’s dramaturgy, and Julian Beck’s Living Theater, among other sources of his inspiration. One must have a general sense, if not knowledge, of what those historic, artistic precedents were about to fully appreciate the Doors’ work. 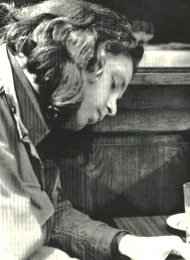 I took on the project as an opportunity to investigate the people, places and other worlds alluded to in Morrison’s songs, to seek the poetry at the core of the stories, and the diligence that went into creating the Doors’ own dark music. And then I tried to unravel some of all that for the general reader without boring people to death by use of academic language, while striving to make Morrison more whole, less of an icon, and more of a human. Because behind the Hollywood and media representations of him, Morrison has largely been remembered well by family and friends. He was said to be thoughtful, loving, humorous, artistic, and pretty decent young cat, when he wasn’t under the influence (though there would also appear to reasons for his discontent, in addition to a predisposition to alcoholism). I make no apologies for the drunk and disorderly behavior; it is on the record and clearly a part of who he was, but it was not all of Jim Morrison. And that’s part of why I’m so interested in the news of the notebook going on the market: It is part of the ongoing rehabilitation of Morrison’s legacy, the process of demythologizing the mythic Lizard King. I’m pleased to say I’m not a voice in the wilderness in my attempts to bring more light to the other side of Morrison’s work. His friend Frank Lisciandro, who has long worked to keep Jim’s poetry and filmmaking in the public consciousness, is compiling Jim Morrison: Friends Gathered Together, an oral history of the singer’s pre-Doors years. And filmmakers Jeff and Jess Finn continue work on Before the End: Jim Morrison Comes of Age, a documentary take on the tale we all (think we) know so well, as told by Jim’s closest intimates, guided by the filmmakers’ access and own intuitive sense of his Jimness. Denise, first of all I am super excited to hear about your book. I can’t wait for it to come out! !